Winless on the road, the Spokane Indians can’t catch a break away from Avista Stadium. They’ve recently been charmed at home, though. 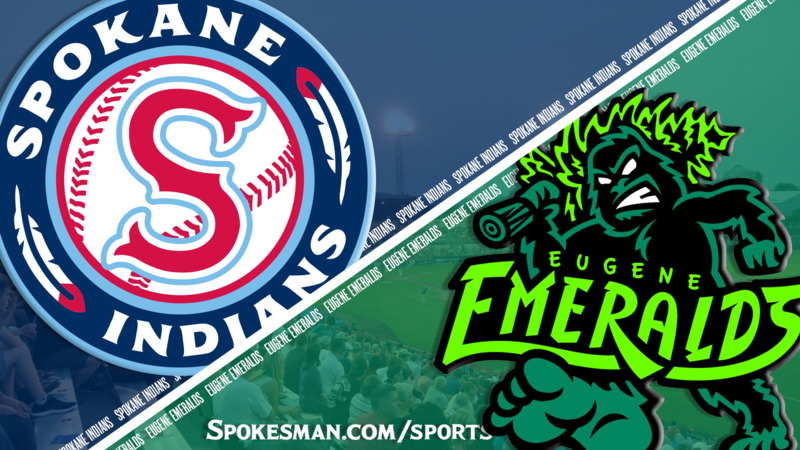 The Indians took advantage of a wild pitcher and a run from an error, and rode the arm of right-hander Seth Nordlin to edge the Eugene Emeralds 4-3 on Saturday, their third win in Spokane in four nights. The Indians (11-18), last in the North Division, improved to 11-7 at home. Spokane faced two of the better arms in the Chicago Cubs’ minor league system and had mixed results. Starting pitcher Paul Richan, a second-round draft pick in June, struck out three, walked one and allowed no runs in two innings of work. Reliever Jose Albertos (0-3), the Cubs’ fourth-ranked prospect, had trouble with his control and the Indians cashed in. Albertos walked five in 1 1/3 innings. With the bases loaded in the third, Albertos walked Ventura for the Indians’ initial run. In the fourth, an errant throw by Emeralds catcher Jonathan Soto scored Austin O’Banion, giving Spokane a 2-0 cushion. Ventura and Gardner’s solo blasts in the fifth doubled the lead. Gustavo Polanco homered in the sixth to get the Emeralds on the board. Eugene tacked on a pair of runs in the eighth in a late rally attempt. Indians closer Sean Chandler shut the door in the ninth with the help of fine plays by first baseman Gardner and second baseman Troy Dixon. “Those were some big-time plays,” Nordlin said. Eugene issued 10 walks and the Indians left 11 runners on base. Published: July 14, 2018, 10:46 p.m. Updated: July 14, 2018, 11:03 p.m.